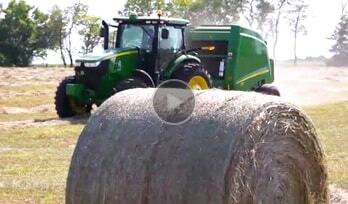 This baler is the perfect combination of productivity and economy. John Deere round balers are designed with tightly spaced belts so you capture more crop in every pass. You want it all. We’ve got it. Now you don’t have to choose between quality and quantity. 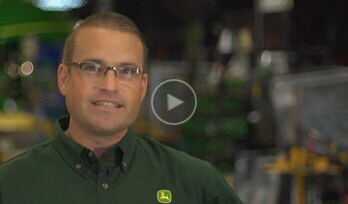 Your John Deere dealer offers a full line of commercial hay tools. Your dealer delivers trained service technicians and a second-to-none parts network, so when it’s time to work, you and your equipment will be ready. 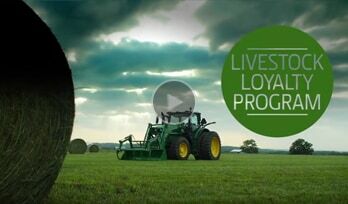 Learn more about Livestock Loyalty Program. View the details of the offer. This new lineup of disc mowers with stronger components and enhanced features mean you can cut with confidence and get more uptime. 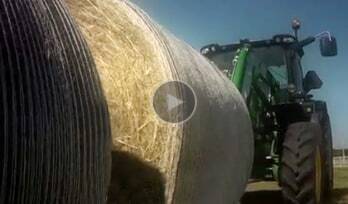 Now you can bale faster than ever with less operator fatigue. 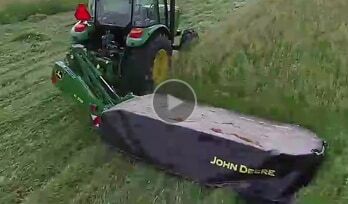 Find out how this exclusive John Deere bale wrap can give you barn quality hay, without the barn. 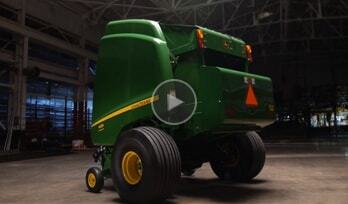 Learn how we took the 8 Series Balers and made them stronger to the core. Find out what makes Premium balers perfect for the high-hour and high-output use of commercial operations. Reliable and dependable. Large Round Balers and Small Square Balers. AutoTrac guidance unlocks more efficiency throughout the year. Studies show that automated guidance can pay for itself in two years or less. * Auburn University, 2010.